Made a super huge quilt for my friends wedding. 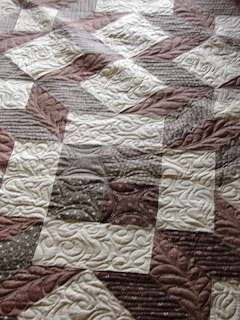 It was quilted by my friend Charisma. This quilt is about 118"x118". 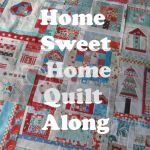 There's no way that I could have quilted it on my home machine, so I gave it over to the amazingly talented Charisma to work her magic. And work her magic she did. It's so big that Charisma couldn't actually get the whole thing in the picture. My friend was so happy to receive the quilt!! She said it was the only actual gift she received for the wedding. Everyone else gave her money. I wanted to give her something nice, and I hope this counts as something nice.